Quick behind the scenes update: I updated my phone. I never used to have a smartphone, but now I have a Samsung Galaxy S4. This allowed me to then get an Instagram account to post my pictures better. It also allows for faster posting to my Facebook page or Twitter account. I also now have Uber, which allows for cheaper and faster exploring than either a taxi or walking. My favourite part of this upgrade to my tech: I will get to start my YouTube channel sooner than original planned! While I was not able to start it for this trip, it will be implemented shortly by the end of the year. My goal: by the beginning of June of this year. This is something that I am very excited about, because it will allow me to better show off those travels in a more real format. As of this post, I am an engaged man and I will be getting married this May. I write in another blog, which can be more polemical than this one, but I wrote on how we met. Please take a quick moment to read that here. For those without the time to read it, we met at a swing dance, and love to dance together. One evening, my fiancée said that she wanted to go blues dancing, and so we thought: where better to go blues dancing than the City of Blues itself, Memphis, TN? I stayed at a lovely apartment in Downtown. The host was amazing! A lot of where I went was under her guidance. I owe her a lot of gratitude. Memphis has a rich, unique history. It has strong elements of being both in Dixie and in the Mississippi River Valley. Rock 'n' roll is a derivative of the blues, and the King of Rock 'n' Roll spent most of his life, and passed away, in Memphis. 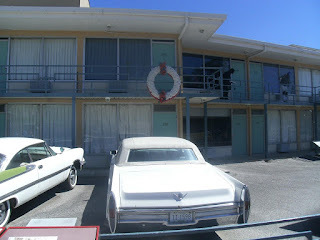 His house, Graceland, is now a museum open from 9:00 AM to 5:00 PM most days for $38.75 per adult, not including parking. It showcases life in the 70's, Elvis's life and the legacy he left on rock 'n' roll. If you want to visit Graceland, I recommend arriving early. By noon on a Saturday, it was completely crowded. As it is in Dixie, it has a difficult racial past. It was a major slave trading post in its antebellum past, and was in the crossroads of the Civil Rights movement in the 60's. The Lorraine Hotel in downtown Memphis was where Dr. Martin Luther King Jr. was assassinated. At this site is the National Civil Rights Museum. Built to honour the work that Dr. King worked towards, the museum hosts exhibits ranging from showcasing the Jim Crow laws, Rosa Parks's boycott (though her bus is in Detroit), and of course Dr. King himself. It is open daily, except Tuesdays, from 9:00 AM - 5:00 PM and is $14.00 for adults. Something to note about the museum: across the street stands Ms. Jacqueline Smith, the last tenant of the Lorraine Hotel before she was forcibly evicted in 1988, in her protest of the museum. 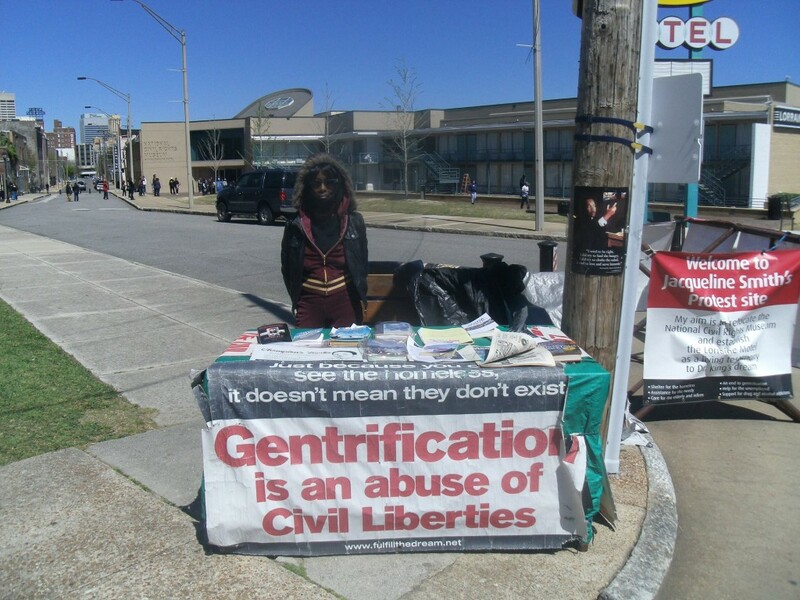 She is against the gentrification of the surrounding neighbourhood, also that Dr. King would not approve of a tourist trap moneymaker in his name. 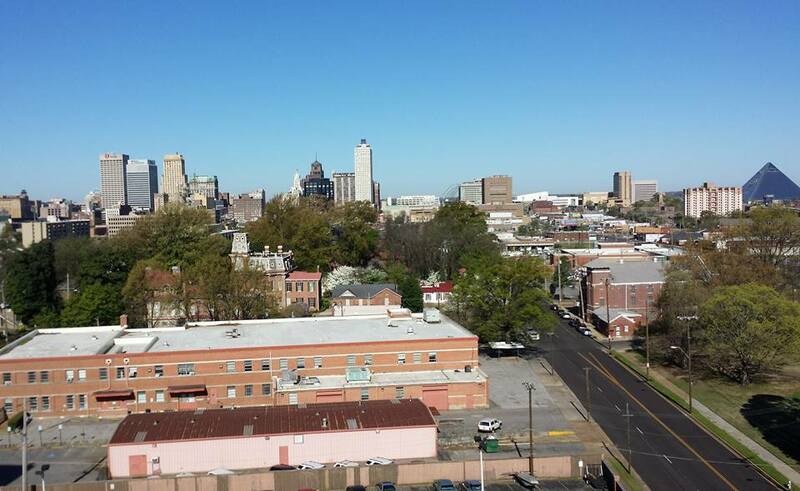 Instead, the city should be using the hotel for housing the poor of Memphis. Please read her story here. As I said, I came here on the pretence of enjoying blues music. 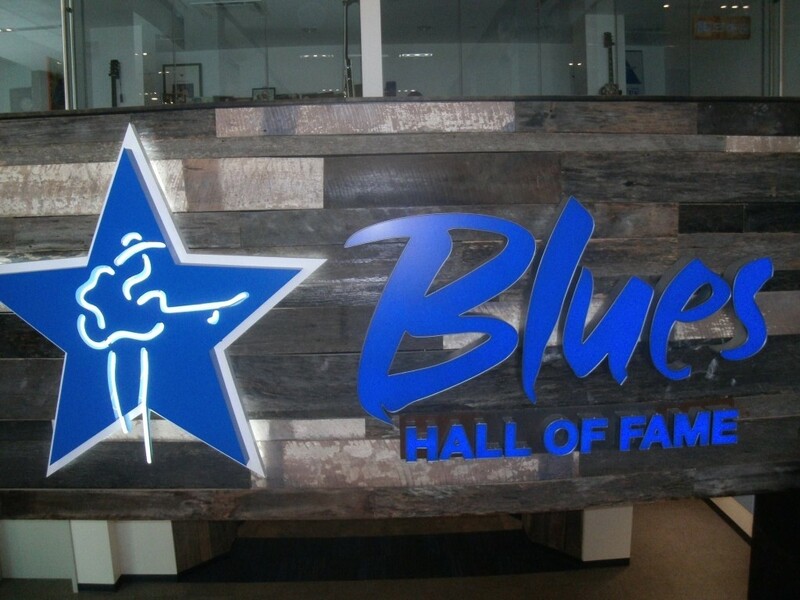 Across the street from the National Civil Rights museum is the Blues Hall of Fame. It costs $10.00 per adult to get in, and you are greeted with living masks of quite a bit of recent blues performers. Also, there is a database of videos, full songs, digitized pictures, etc. of all the inductees. I thoroughly enjoyed my visit there and recommend it highly. As well as a hall of fame, Memphis boasts a fantastic live blues scene. World renounced, I went and visited Beale St. It was full of people enjoying the evening. While others did, I recommend not bringing children. That way you can stay longer, and enjoy the alcohol that compliments the music more. (Hence the Uber account.) 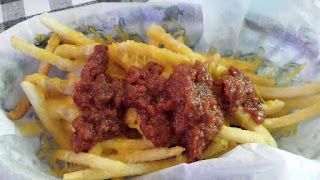 Upon local recommendation, I went to Silkey's, enjoyed a local group at Jerry Lee Lewis's, and just overall enjoyed the bands that played on the street. I recommend to bring a fair amount of cash. Covers range from none all the way up to $20.00 per person, plus tipping the performers and bar/wait staff. The street will be hosting an annual three day music festival starting April 29th. In the South, barbecue differs by region. In Memphis, they have both dry rub then smoked pork and a tomato and vinegar based sauce added during or after cooking. 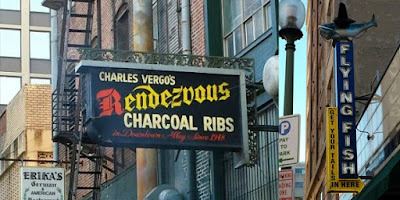 I went to Charlie Vergos' Rendezvous, where they have the dry rub pork rib, with the sauce in a bottle on the table. It was delicious. So delicious in fact, that I bought a bottle of the sauce and a bottle of the dry rub seasons. What if you are not a BBQ eater? Good news! Being in the Mississippi River Valley, fried cat fish is another great local favourite! At Flying Fish, you get access to a whole range of Mississippi River delta favourites, such as fried catfish, shrimp, gumbo, crawfish, etc. Plus, I got them to make me a "Memphis-style" poutine: just replace the gravy with Memphis BBQ sauce. Because I can never have enough poutine in my life. Ever on the hunt for the best poutine. Or to just brag about eating it, whether you care about the poutine or not. Also, by recommendation, I went to Midtown. Open daily from 9:00 AM to 5:00 PM for an adult ticket priced $15.00, the Memphis Zoo boasts of conservation of over 500 animals, and is about to open an hippo exhibit for Spring 2016. Although they were closed when I was there, the Brooks Art Museum is close by. Closed on Mondays and Tuesdays, the hours they are open do vary by day, so please check the website first. To wrap up the weekend, Overton Square is the place to go. With over a dozen restaurants, and almost as much retail shops, and more, all within the size of about a city block, it is the best place to spend a lazy afternoon. This was my first time in Memphis, but I definitely enjoyed it. I still feel like there was a lot more for me to explore and report on. Until next time, please enjoy the City of Blues for yourself.